Laura M. Morris is Senior Attorney at Callahan & Blaine. She specializes in representing plaintiffs in complex catastrophic personal injury, wrongful death and medical malpractice matters. In addition, she is instrumental in Callahan & Blaine's Mass Torts Department where, at the present time, she is representing clients in national multidistrict litigation involving Transvaginal Mesh and the drugs Xarelto and Invokana. Ms. Morris is a member of the State Bar of California and the United States District Court for the Central, Northern, Eastern and Southern Districts of California. 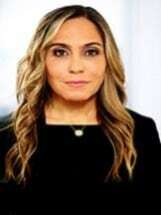 She is also a member of the National Trial Lawyers, Top 100 Trial Lawyers, the Orange County Bar Association, the Consumer Attorneys Association of California, the American Association of Justice and the Orange County Trial Lawyers Association. · $10,000,000.00 settlement in a trucking accident case which resulted in the wrongful death of a 64-year-old man. · $5,500,000.00 arbitration award in a birth injury case resulting in brain damage. · $5,000,000.00 (policy limits) settlement in an auto vs. motorcycle accident resulting in significant orthopedic injuries. · $3,700,000.00 settlement in a slip and fall case which resulted in a traumatic brain injury to a 76-year-old woman. · $1,925,000.00 arbitration award in a dependent adult abuse case against a skilled nursing facility involving a wheelchair fall that lead to the wrongful death of a 64-year-old. · $1,650,000.00 settlement for the wrongful death of a 53-year-old physician shot and killed in his medical office. This matter was not covered by insurance and the settlement funds were obtained by forcing the defendant to liquidate assets. · $1,250,000.00 premises liability settlement for a 17-year-old who sustained a head injury as a result of an accident at school and went on to receive an academic scholarship and play Division I soccer in college. · $1,000,000.00 (policy limits) settlement in a dependent adult abuse case against an adult daycare program. · Numerous other six and seven figure recoveries for clients involving medical malpractice, personal injury and wrongful death matters.